Here is further proof that O’Regan’s attack on Canadian born entrepreneurs was not only false, but he owes an apology to “Canadian-borns”. 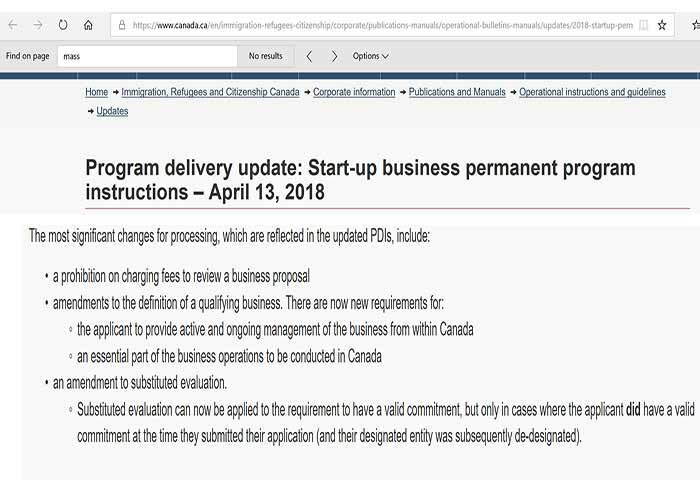 Many or most immigrants given permanent residency under the business start-up programs not only did not start the businesses, but they were draining Canadian tax payer dollars. This Global News report reports on the immigrant fraud. The fact that it is occurring under the business start up programs is buried in the middle of the reporting. How do you like us Canadian-born business owners now, Seamus O’Regan? Two days after O’Regan’s attack on Canadian born entrepreneurs there is concrete evidence that foreign-borns supposedly starting businesses in Canada under the SUV/provincial business incentive programs are fraudulently using the program. The CBSA says that 462 foreign-borns – in PEI alone – have fraudulently used Canadian business incentive programs. Today, Seamus O’Regan continued with a back-handed insult by saying he understands that “Canadian-borns” don’t like to be on the “lesser end.” Basically, it was a nonchalant “my bad” for being so blunt about my racism against Canadian-born people. Nothing to see here. His statement seemed to be a highly crafted kind of casual that wanted to side-step, rather than explain, the basis of his extraordinary bombshell of an insult to Canadians. Shame-Us O’Regan raised the ugliness of divisive Liberal Identity Politics with a punch that left a mark on Canadian-borns, and wants everyone to pretend that didn’t happen. The issue he raised, however, is calling for an answer: are so-called “Canadian-born” people inferior entrepreneurs in comparison to so-called “Foreign-borns”? It would be extraordinary, if true, that the tens of thousands of foreign-born people coming into Canada are actually creating more businesses than Canadian-borns, given their financial and language challenges. We’re told many or most foreign-born migrants come to Canada who are fleeing terrible situations. They are in shock, with little to no English, or work experience much less business experience in North America. Canadians are generous and want to welcome, receive and help foreign borns get back on their feet, and make Canada their home. The expectation is that they will work, but not that they will start businesses right away, a huge and difficult undertaking for anyone. So called “Canadian-borns” on the other hand, speak English and/or French fluently, have had exposure to how Canadian businesses operate, and have family business contacts, etc So it’s very curious, hard to believe in fact, that Canadian-borns could be doing so relatively poorly considering our relatively enormous advantages. Maybe O’Regan was only comparing Canadian-born entrepreneurs to a select number of foreign-born who say they are an entrepreneur interested in coming to Canada to start a business. Some preliminary fact checking into just such foreign-borns shed some light on why O’Regan wanted to drop the issue, and quickly. There is a program for Foreign-borns who want to start a business in Canada. It’s called the “Startup Visa” program. It was initiated by the Harper Conservatives to fast-track the citizenship of foreign entrepreneurs who wanted to come to Canada and set up businesses. A good program for welcomed and needed immigrants to Canada. It had realistic checks on it to ensure bogus claims were refused. To be successful in the SUV program, the foreign-born applicant had to pass some expected requirements like basic English or French skills, and have at least $10,000, and some other like critieria. In removing the criteria of investor support for foreign-borns (i.e. real business confident the business would succeed) the Liberals arguably shifted the balance of funding foreign born would-be entrepreneurs over Canadian-borns. The Liberals incentivized foreign-borns with a fast-track to Canadian citizenship for them and their family to have all of the social assistance programs Canada has to offer, for example, healthcare. All the foreign-born has to do (in addition to the minimum $10,000, and routine requirements like basic language skills) was be accepted into an Incubator program which would, bonus, provide them mentorship, office space, etc to start the business. This SUV program is being actively marketed by Canadian immigration lawyers and advocates to foreign-borns. A deal to good to be passed up. It’s like being guaranteed a winning lottery ticket.The point is not that any one of the immigrants should be denied this opportunity in spite of the growing evidence of fraud occurring in the business immigration programs generally even by those within the SUV and those in the business of immigration. 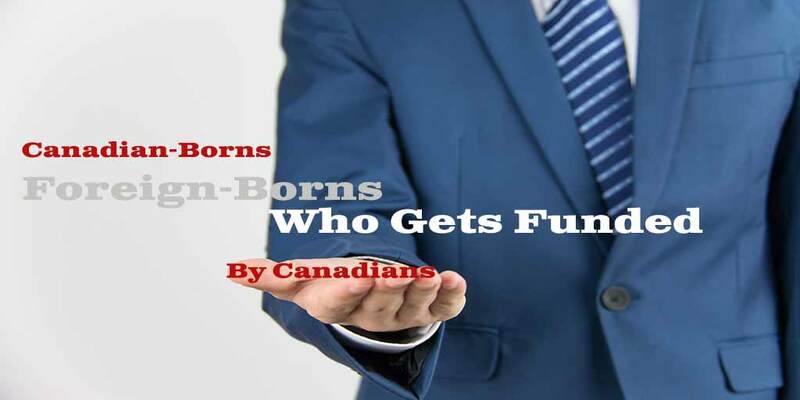 The point is that for O’Regan to compare Canadian-born business start ups with a select, small group of Foreign-born business start ups – who have been highly incentivized to start a business in comparison to Canadian-borns, is clearly a false comparsion. The only purpose it serves is to falsely degrade and try to make Canadian-born citizens feel inferior, and to make foreign-borns feel superior. One would like to think that all of the foreign-born recipients of the SUV program had a devotion to their new Canadian home. It appears that at least some, or most, it doesn’t say, had no regard for Canada because in April, 2018, the Liberals began to realize there was a problem. Businesses created by the ”foreign-borns” through the SUV program were not actually operating their businesses in Canada. Foreign-borns were operating their businesses in foreign countries, apparently increasing the economic growth of those foreign countries, not Canada. In all, Seamus O’Regan was wrong on all counts. He was especially wrong to make a broad comparison of Canadian-born entrepreneurs with foreign-born entrepreneurs. The truth is, O’Regan was comparing a small, select segment of foreign-born immigrants who are being highly incentivized to start a business, in comparison to Canadians-born employees, the engine of the Canadian economy. Thanks for letting Canada know your true feelings about Canadian-borns Seamus O’Regan, and for raising the opportunity to have your views about foreign born superiority come out into the open to be shattered. Foreign-born business owners are welcome in Canada alongside Canadian-born business owners, and together we will make Canada strong in spite of the Liberals divisive politics. This entry was posted in Immigration, Liberalism-Socialism-Communism, Politics, Canada, Think Over News and tagged business start up, canadian born, citizenship, entrepreneurs, foreign-born, immigrants, samus o'regan.